Distribute applications to remote computers from within support tickets to save time. Take control of remote computers with options to troubleshoot them with multi-monitor support, transfer files between them, and record sessions for auditing purposes. Shut down, restart, hibernate, and lock remote computers right away from your incident window. 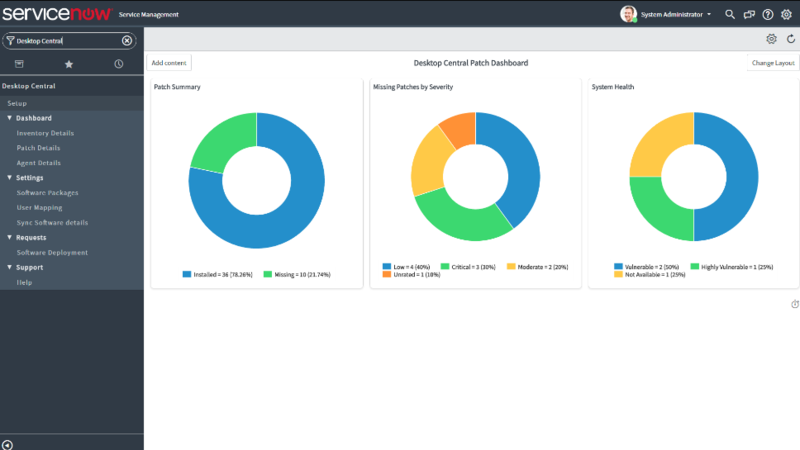 Track software compliance, prohibited software, software usage, and the health status of your patches to gain an extra edge over your IT operations. 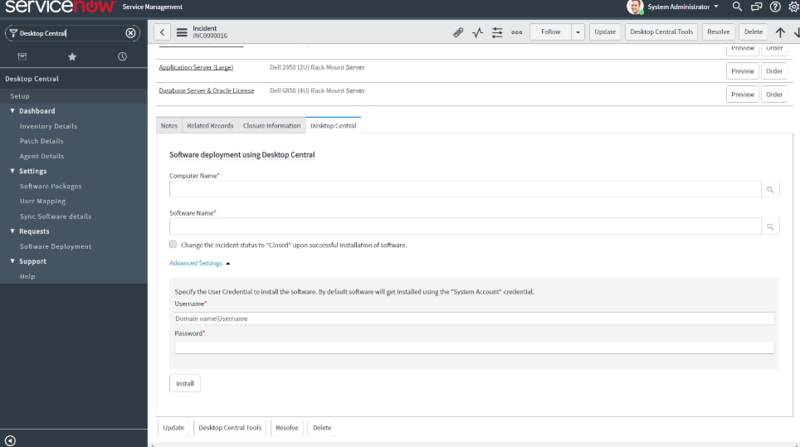 Reduce time and effort by managing your ServiceNow IT operations without having to switch between multiple tools. IT operations are a key part of any ITIL framework. Centralize your ITIL processes by resolving incidents from a single solution. Install our Desktop Central app from the ServiceNow Store and increase your productivity right away. To download a fully functional, 30-day free trial of Desktop Central, click here. Desktop Central plugin app installed view from incident window. Desktop Central remote control capabilities from ServiceNow incident window.